A subscription to the Employee Handbook Builder includes up to 50 states (and D.C.), for a flat yearly fee of $350. 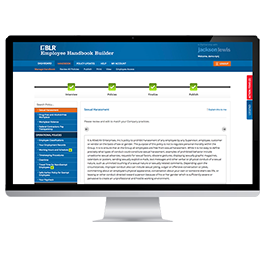 Build and update custom, compliant employee handbooks with ease! Employee Handbook Builder is an affordable, easy-to-use online tool that allows you to build, update, and customize employee handbooks for your organization or clients. No software downloads here—the tool is accessed online and includes cloud storage for your handbooks. We partner with the Jackson Lewis law firm to provide state-specific policies to subscribers that are reviewed and updated throughout the year. A true handbook builder software-as-a-service (SaaS) solution—not just a sample employee handbook. The Employee Handbook Builder includes intuitive processes, customization options, and guidance during the entire build process. Included state-specific policies written in partnership with the Jackson Lewis law firm, a leading labor and employment law firm representing management and specializing in the federal and state laws that affect employers. Federal and state law compliance—Some states have requirements that supersede federal laws on common employee handbook provisions. The Employee Handbook Builder provides special sections for your state in the trickiest areas, like sexual harassment and leaves of absence. Policy updates—When employment law changes affect your handbook, we update policies to comply. We’ll send you an alert with simple instructions on how to add the new language. No software download required—Access from any browser, anywhere. Save on printing and distribution costs—Your employee handbook can be hosted on our site for employee access, and links are provided for each state handbook to provide to employees that can be accessed with a provided username and password. You can also export HTML or PDF for hosting or distribution by your organization. Need to print? You can do that too. Perfect for organizations of all sizes—We support all 50 states, as well as some municipal areas, to support companies of all sizes for compliant employee handbooks. Need multiple employee handbooks for your organization or clients? Request a demo here, or call 800-727-5257 to speak to a solution expert. Attention, PEOs: Professional employer organizations (PEOs) can use the Employee Handbook Builder to manage handbooks for their clients. Learn more. What is the Employee Handbook Builder? 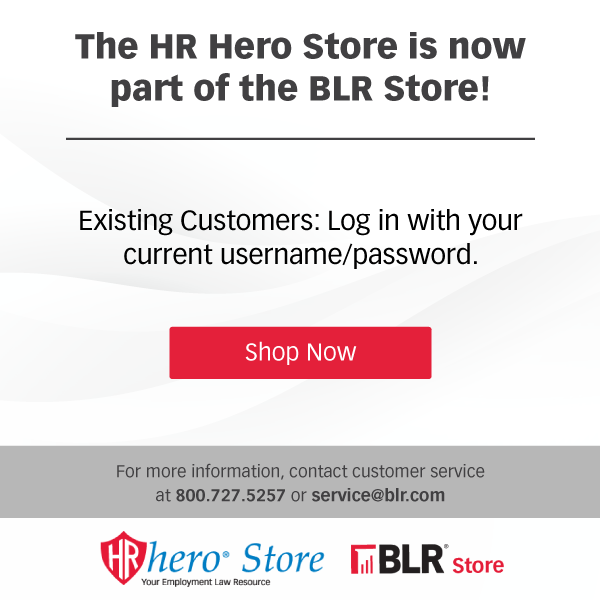 Pricing for Employee Handbook Builder is for internal organizational use only for one user. For custom pricing, additional users/states or to discuss external or third party use, please contact customer service at 800-727-5257. Please note that the listed price is for new subscribers only.